Here are more keys to unlock those mysterious Christian Music sets you see every few hours on SnTRadio.com. Pre-recorded 25-minute Christian Music sets have populated the playlist ever since SnTradio.com launched on Memorial Day 2009. These were designed to ensure top audio playback quality, volume, and mix flow throughout the day. These were the dark ages before better-sounding AAC’s and other sonic improvements were made for streaming audio content.SnT Radio pre-programmed three different sets: a general music set SnT000a, a mini-worship set SnT000wpa, and an artist retrospective set ArtistBP, which can only be heard on Saturdays. Now, revealed for the very first time ever are four SnTRadio.com Artist Block Party set listings which originally aired during 2010’s Summer of Fun promotion. Today is Thursday, December 26, 2013 and time is ticking. Fortunately, the ticket selling website is working perfectly. More tickets have sold today as of this writing and that is a good indication that we shall be successful. Tomorrow I will poll the area Christian bookstores and see how tickets are selling there.For variety’s sake I’ve included the new poster which shows the Matthew Ward Concert scheduled for April 2014. Bulletin size inserts of these will be made available to churches participating in the 10 FREE TICKET giveaway on FaceBook. Its reaally interesting to see how people are reacting to the preferred seating tickets having been sold out. Before Christmas, we had several phone calls and emails from potential customers from out of state wanting to purchase these prized seats for family as presents and we did our best to make sure these were received by Christmas. So far, so good no complaints. Thankfully, I did not send any out via UPS or FED Ex as both of these package handlers had way more packages to deliver than anticipated. Thousands of people are upset that items were not received in time for that special WOW! moment on Christmas morning. I am thankful we avoided that kind of circumstance. Being a big lover of the “Christmas surprise”, I know I would be upset too if tickets that I purchased as the special gift for a friend or relative didn’t arrive and robbed us both of a good memory. So the concert is nearly 3 1/2 weeks away and there is lots to be done but most will have to wait until the Holidays pass. Why? Many offices are short staffed and/or closed until; next year which is exactly one week from today. This will make the last 16 – 17 days a mad dash to the finish line. The police need to be notified of a potential traffic bottleneck and steps taken to have enough parking area personnel familiar with the traffic patterns for entrance and exit. Then certain accommodations for the at-the-door ticket sales and advance ticket holders should be finalized. The venue has two entry points so we are designating one for at-the-door sales and the other for in-advance ticket holders. Then there’s a final negotiation with the sound man and his crew. So the list goes on. I am using the holiday time to make as complete of a list as I possibly can. At this point it is nearly a page and a half long with one item per line. Phil Keaggy has a rather long and detailed rider which must be adhered to… something that we want to do with excellence because we’d like to have him back at another time. 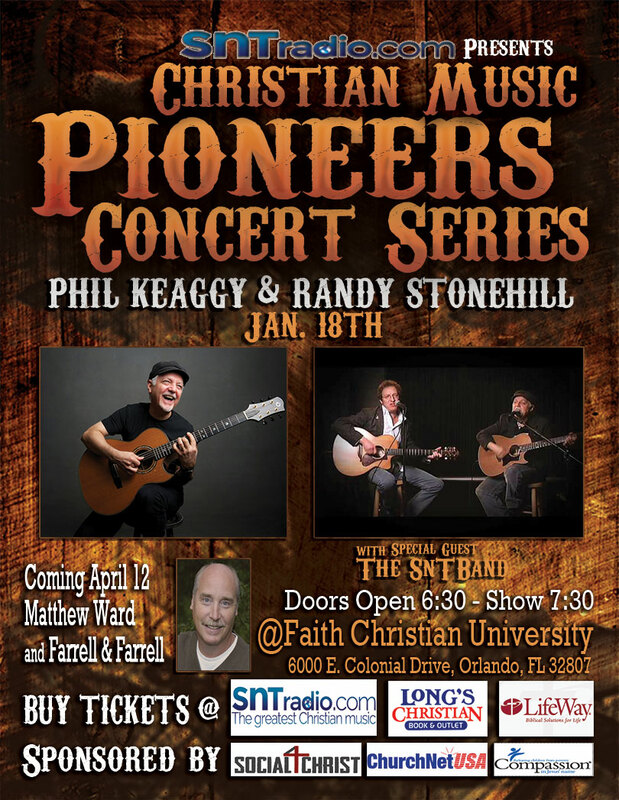 All in all, this event is shaping up to be a rather special evening for Christian Music lovers in Central Florida. A set by Randy Stonehill followed by a rare duet performance of Phil Keaggy and Randy Stonehill doing songs from their MYSTERY HIGHWAY CD. If you were not aware of that CD don’t worry, it is very under-exposed but that is part of the reason we are doing this event. To draw attention to one of the best recordings of these two since they collaborated on Sunday’s Child back in the late 1980’s. Then a solo set by Phil Keaggy that is certain to mesmerize everyone. More tomorrow… thanks for sharing some time with us. I appreciate you so very much and ask you to pray for this event to be used of God to reach the lost and reconnect others with their first love. Here we go… First thing to know is that this is real… the people are real…. the concert is real so in a sense this is now a reality blog.. But first, a bit of backstory. It has always been a dream of mine to present many of the Pioneers of Contemporary Christian Music to the New Millennium audience and everyone inbetween them and the Jesus Movement generation (aka Baby Boomers). There is a line that spans the decade from the early 1970’s to present day on which few have points along the way. 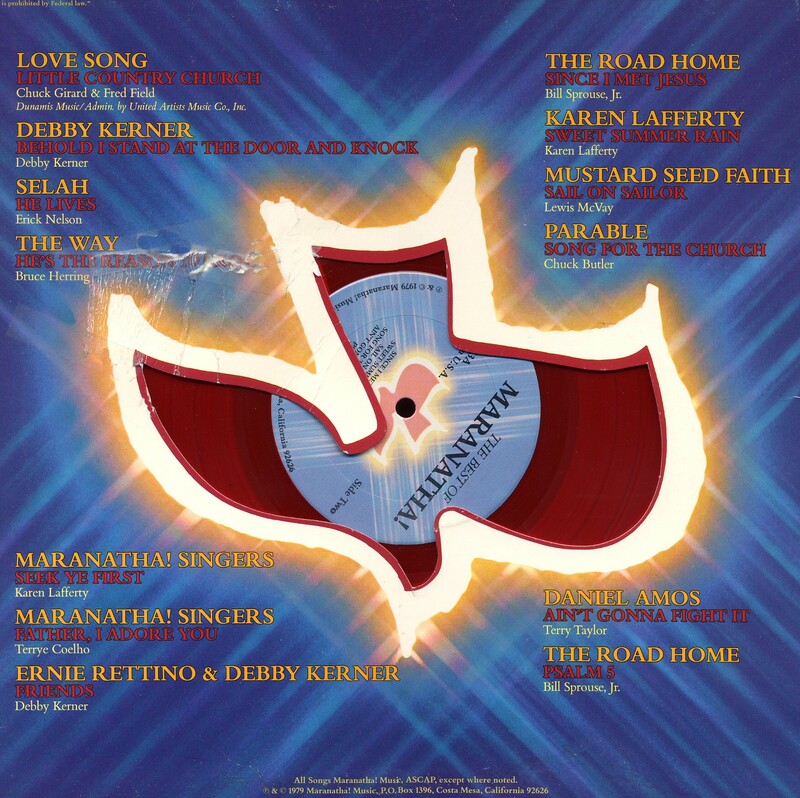 Phil Keaggy, Randy Stonehill, Chuck Girard, Nancy Honeytree Miller, David Meece, and Matthew Ward are among those who do. 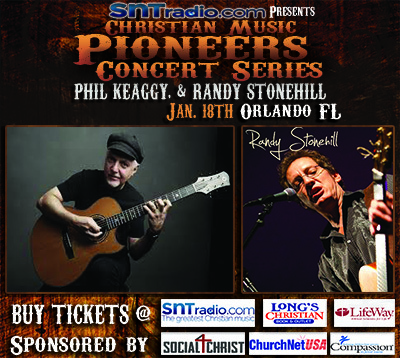 People in the church today need to know their musical roots and have the opportunity to appreciate those who paved the way for what is known as “Today’s Christian Music.” That is part of the vision behind SnTRadio.com and the primary motivation for the idea to have concerts in the family entertainment capital of the world — Orlando, Florida USA. The hard truth is concert promotion is wrought with risk. What if nobody buys tickets in advance or doesn’t show up after pouring thousands of dollars into making the market aware of the event? That is what keeps every event coordinator and concert promoter that I’ve ever known up at night. Our first concert on December 7th suffered that cruel fate but sometimes you have to break up the fallow ground in order to make the field fertile enough to bring forth a harvest. It was pre Christmas and people make all manner of plans at that time of year. But those that did come on a love offering basis that night were treated to an evening of quality music that would’ve cost $35 or more per person if it were held at venues in Downtown Disney or Universal’s City Walk. To be fair, nobody in the audience was informed that Randy Stonehill drove down from South Carolina and David Meece flew in from Nashville, Tennessee too be there after a decade long absence. The audience was graciously advised by the hosting Church Lead Pastor that this was how they make a living and to please give a love gift worthy of a living wage for a highly trained professional musician. At the moment the offering plates were being passed almost two and a half hours into the performances, one couple hurriedly got up and rushed out the door to avoid participating in the love offering based on their comment overheard by a security person manning one of the product tables. No love shown there. What do you think the average “love offering” per person was? You are not going to believe how mature adult persons who have been blessed by their music responded. It was not quite $4.84. So that breaks down to $2.42 per man for both Randy and David for roughly 75 minutes of work each without a cent towards what it cost to get them here, house and feed them. Not a lot of “love” in the love offering either would you agree?. Minimum wage is what, just under $8.00? Please understand that I am only stating the facts and trying to give you insight into what the financial inequality is that confronts many Christian artists ministering on a love offering basis. Hopefully, you are being encouraged to treat anyone who ministers on a love offering basis to better than what was just reported above. Who made up the gap? That’s right, The artists both took a lesser than normal fee and SnTRadio.com covered the rest. Like I stated earlier, concerts are a risky proposition. But that doesn’t excuse people being disrespectful. We all need to be more generous and giving. But our sights are not on short term monetary gain or loss. No, our sights are on adding souls to the Kingdom of God either by making new disciples or snatching away from the jaws of death those who once followed the Lamb of God. And the music of their “first love” is what shall draw them back into the fold. That is why we present SnTRadio.com 24/7 on the internet. So in just 27 days, Phil Keaggy, one of most important guitarists of the past 30 years is coming to town to share his unique gifts in Central Florida. There’s even a short set where Randy Stonehill will join him and play as a duet..Who wants to miss that? All the preferred seats have sold and general admission tickets are beginning to sell. Honestly the venue does not have a bad seat in the place and we can comfortably seat just about 550 or 600. It is a good start. Line of sight to the stage is great from every seat and the sound is impeccable. There are no sup[port poles blocking anyone’s view. The sound is clear and strong but not too loud. Tomorrow will be day 26 and counting. Check back, won’t you? This story is far from over. The danger with a list like this is that it proves time is marching on. 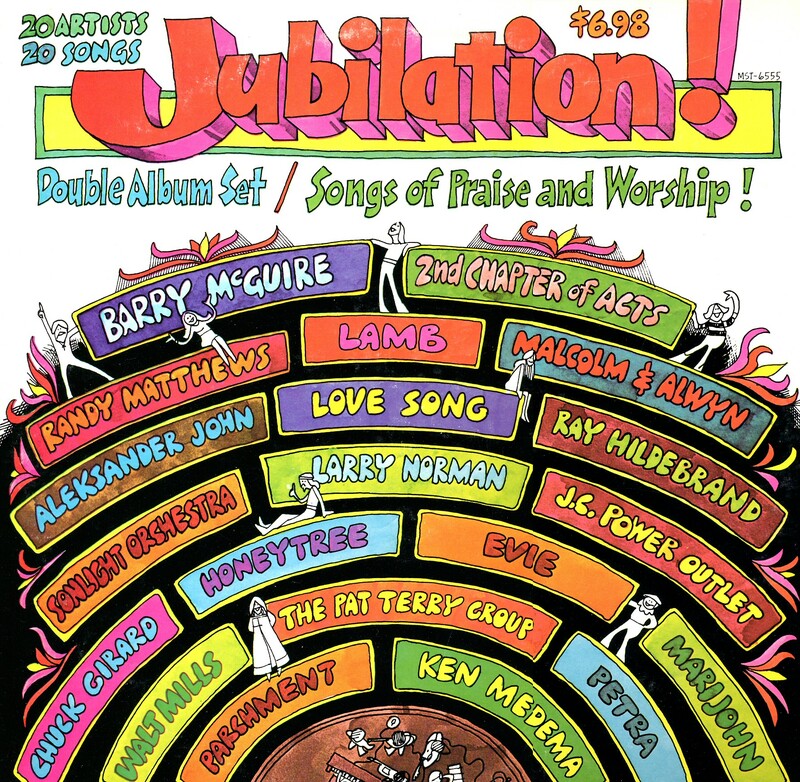 In under 12 months will be the 40th anniversary of what Life Magazine heralded as the “Christian Woodstock – Explo ’72”. My brother attended that event. I had just graduated from High School, and was about to begin my freshman year of College. So many of the songs selected are going to be memory joggers for many of us who qualify for membership in AARP. Or maybe just call us Jesus Geezers. 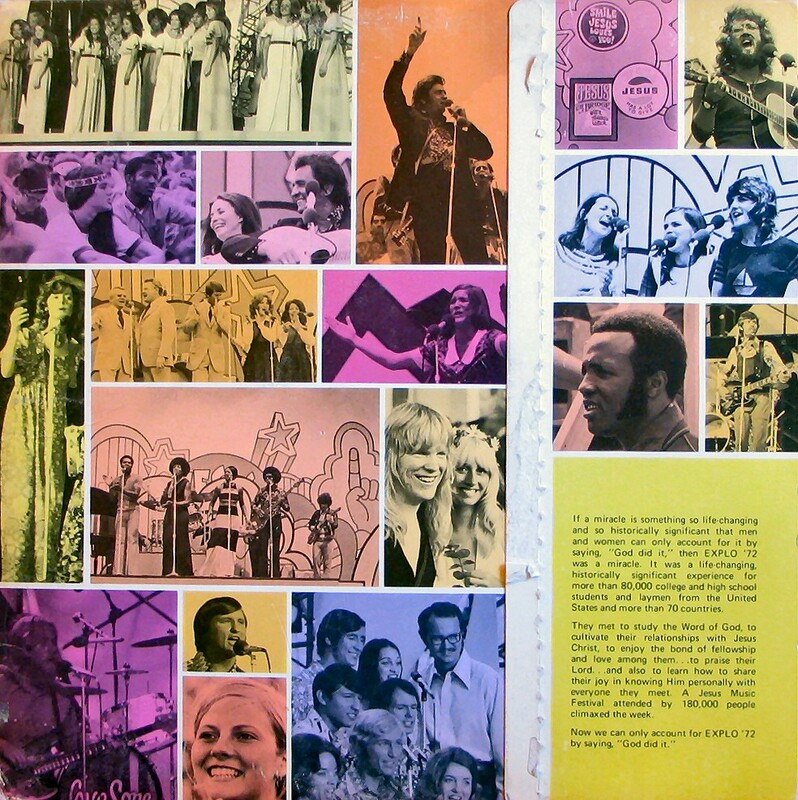 The albums shown above were some of the most significant of that very special and Holy Spirit-filled ten year season. 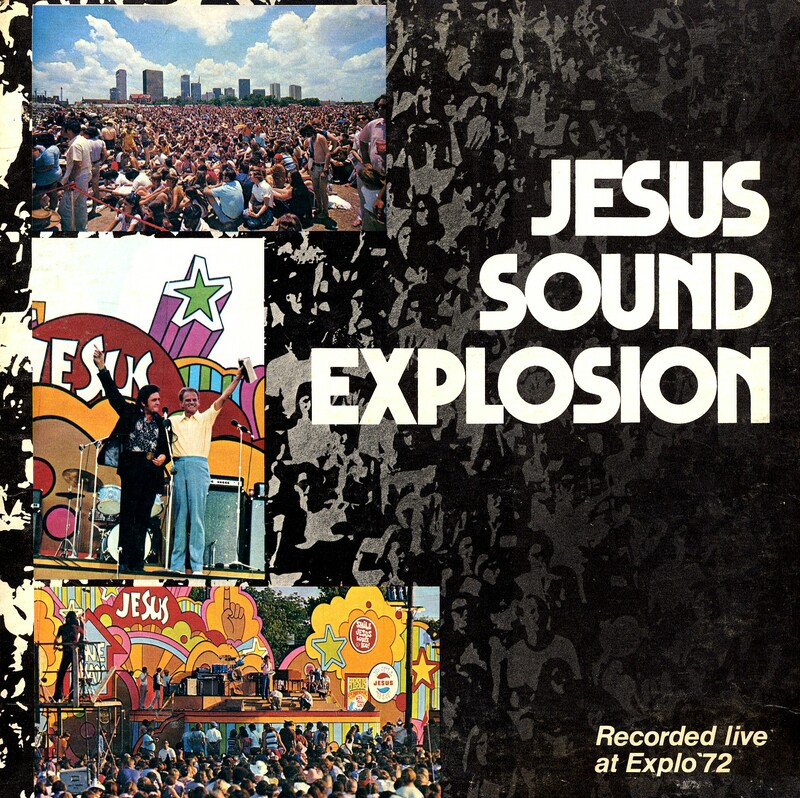 Of course Jesus Sound Explosion Explo ’72 had to make the list. Eighty thousand persons were there. 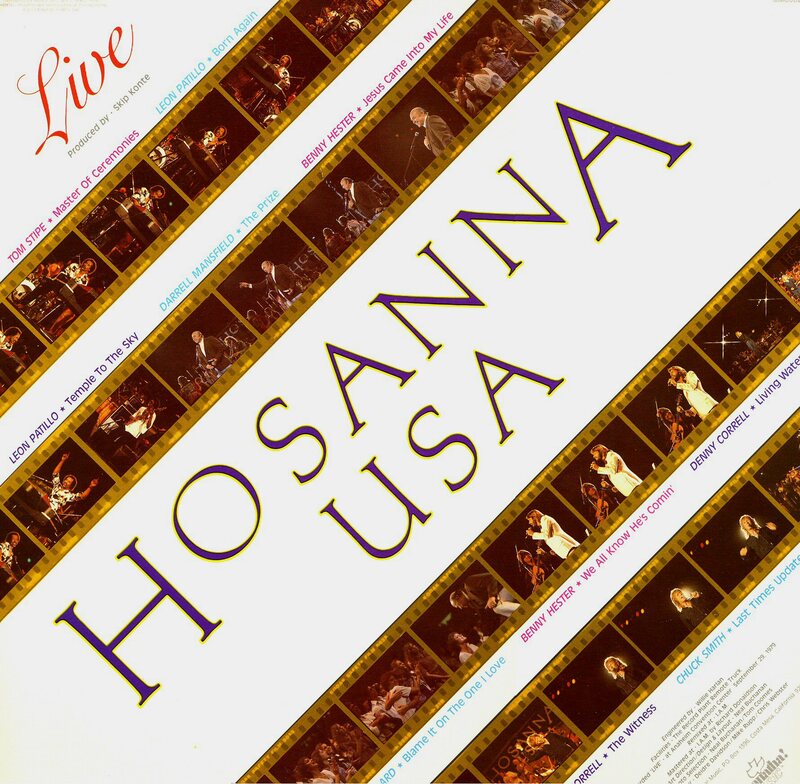 Almost a significant is the Hosanna USA Live event. 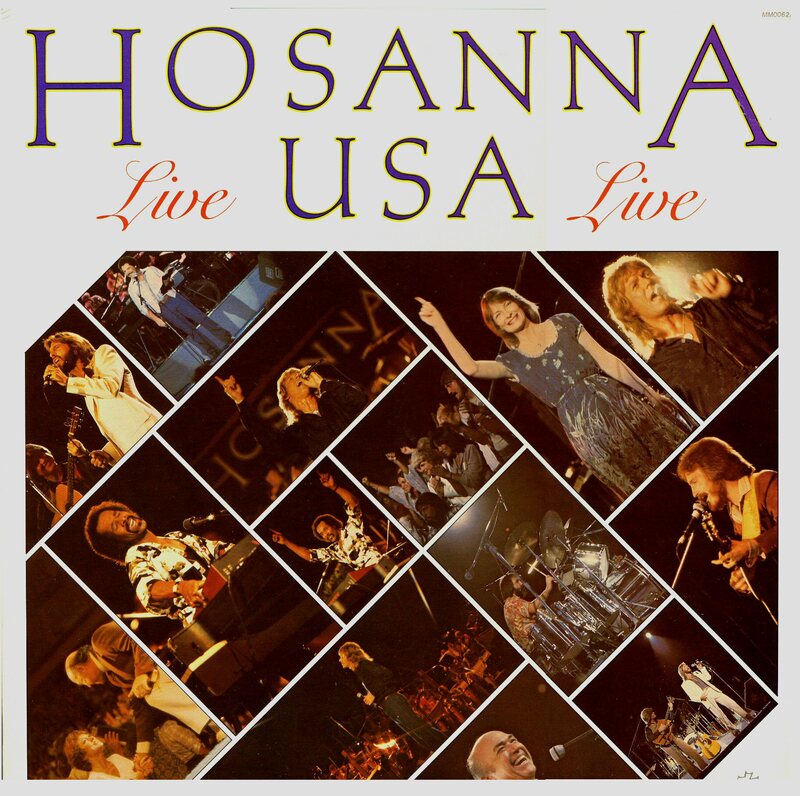 Broadcast live via satellite and simulcast on FM stations (this was before stereo TV audio) as was common with other secular televised concert shows like ABC’s IN Concert series. A very ambitious undertaking by Chuck Smith and the Calvary Chapel/ Marantha Music folks – I had a connection because I was Advertising Manager for Tyndale Bookshops, who sponsored the FM simulcast in the Chicago Market on a non-Christian mega-watt FM station that hit 3 states around that city. 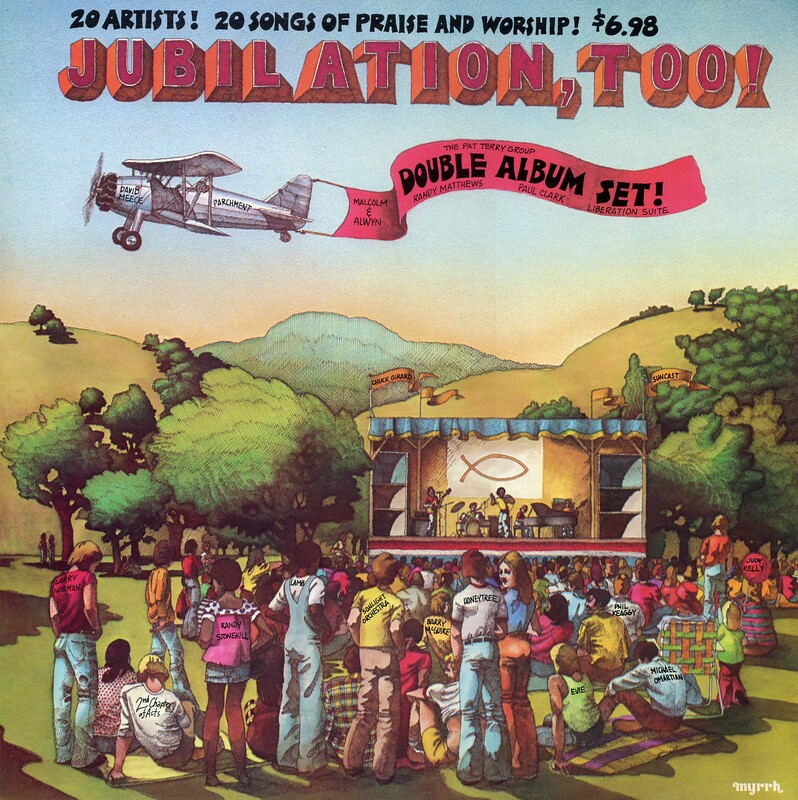 Then there are the Jubilation series “sampler” albums from Myrrh Records. Four sides for $16.98 list price. Ouch! 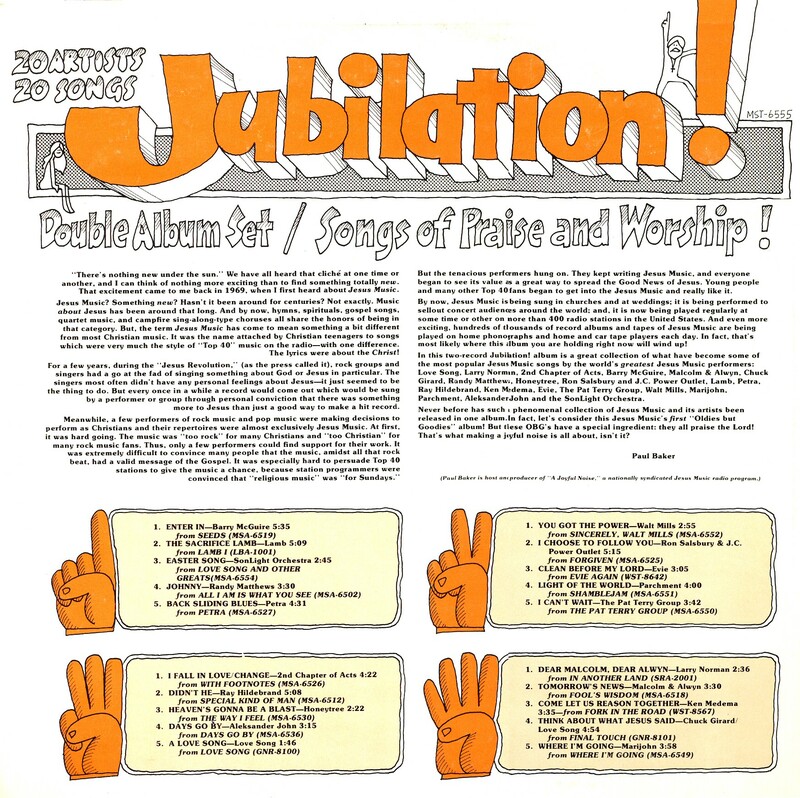 These were some of the first widely distributed albums of Jesus Music made available. 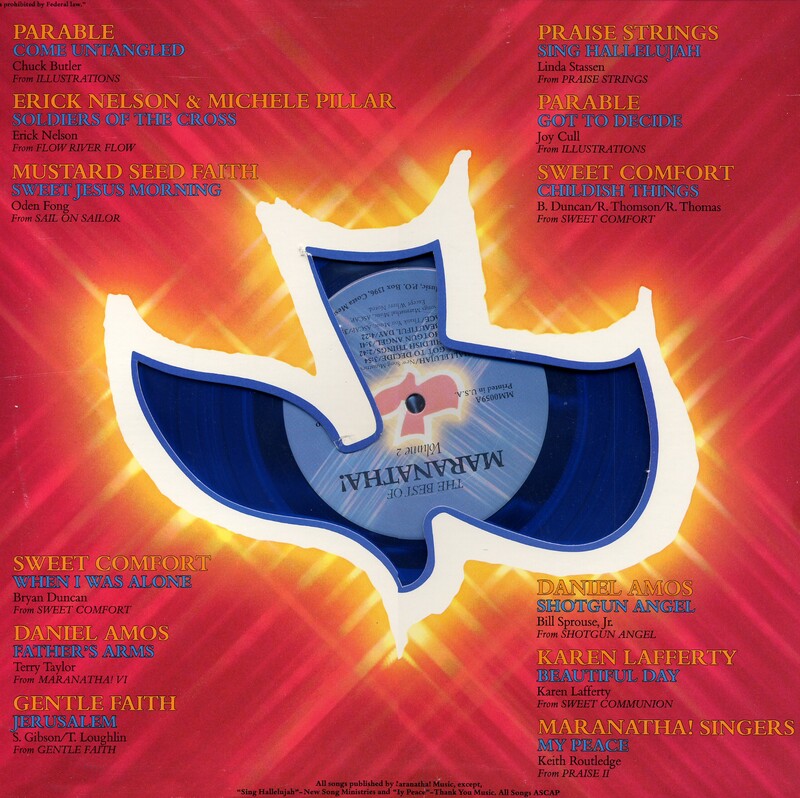 For many who didn’t have a progressive Christian radio station like KYMS-FM in Costa Mesa, CA or KCFO-FM in Tulsa, OK , the only way to hear Jesus Music through syndicated shows like Scott Ross, PowerLine or Full Circle with Jerry Bryant and sharing albums like these among friends. 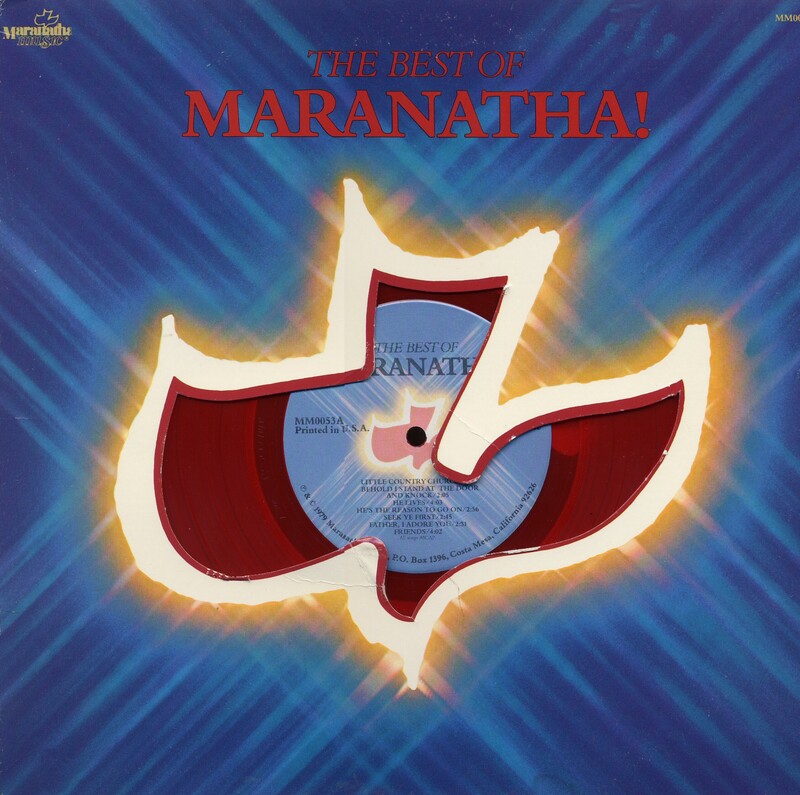 Many of the early artists custom LP’s were distributeq by the Sonrise Mercantile Company and available by mail order only like Larry Norman, Children of the Day, Danny Lee & Children of Truth and much of the early Marantha Music LP’s. 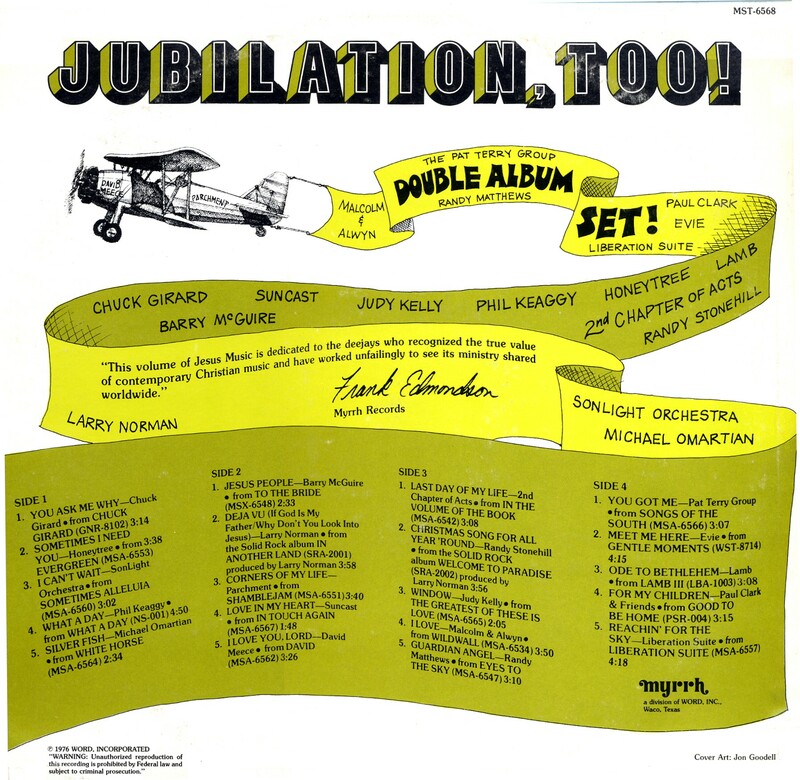 The big exception was Good News Records, Love Song’s label had distribution through some major national record departments in chain stores like Sears and E.J. Korvettes. I can remember buying the first Love Song album there in Elmhurst IL much to my delight. As is our policy to feature “songs you just don’t hear on the radio anymore” I’ve selected many significant songs and artists from the above albums that first introduced Jesus Music – plus some very rare live cuts from the 1972 to 1974 vintage that really carry the feeling of the times. Just like Walter Conkrite’s educational series “YOU ARE THERE”, these selections will put you smack dab in the middle of the Jesus Movement. For you newbies who missed it — enjoy. The rest of us can close our eyes because like the man says… “and more sweet memories on SnT Radio”. SnT Radio.com will play one song approximately every hour from this list beginning at 12:00am EST Saturday, September 3, 2011. You are encouraged to join the SnT listener community and make a comment or share your personal Jesus Music era memories.